Most people outside of our industry have never heard of NeoCon before, so we would like to introduce you! NeoCon, which is approaching it's 50 year anniversary, is a world class commercial industry trade show. Over 50,000 design professionals attend the show each year to see products, learn about the latest trends, listen to keynote speakers from around the globe, host clients who have potential projects in the future, and teach future design professionals through a series of student events. The world famous Mart never disappoints for photo opportunities! The three day event is always hosted at the Merchandise Mart, also known as the Mart, overlooking the beautiful Chicago Riverwalk. The Mart has over 4,000,000 square feet of space and the main floors of attraction are the 3rd, 7th, 10th and 11th. The 3rd Floor is where we will focus on for our NeoCon recap. The 3rd floor of the Mart is a collection of the largest contract furniture manufacturers in the world. Haworth and many other manufacturers create amazing showrooms each year with the world’s leading architects and designers to showcase their products to our industry. NeoCon showcases the latest in seating like the Haworth Fern (which was introduced at last years’ show) and cutting edge technology like Designtex’s Casper Cloaking (we told you all about that here). The Haworth showroom did not disappoint in 2017! Once again Haworth partnered with current design powerhouse Patricia Urquiola and her team at Studio Urquiola. She has designed Haworth’s NeoCon showroom for the last four years. Want to check it out yourself? You can take a virtual tour of the Haworth showroom here. 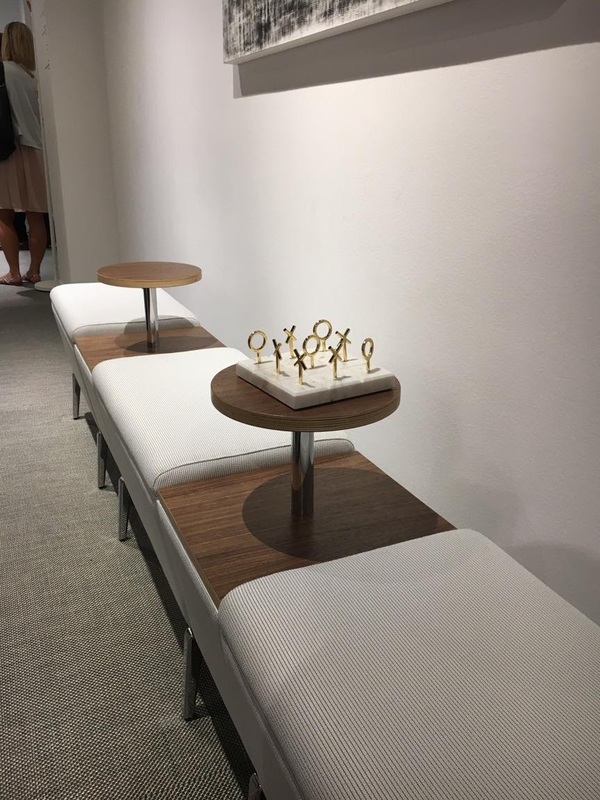 The JSI Showroom at NeoCon. Not only are amazing contract furniture products featured throughout the showrooms, they are also an abundance of textiles including flooring and fabrics! 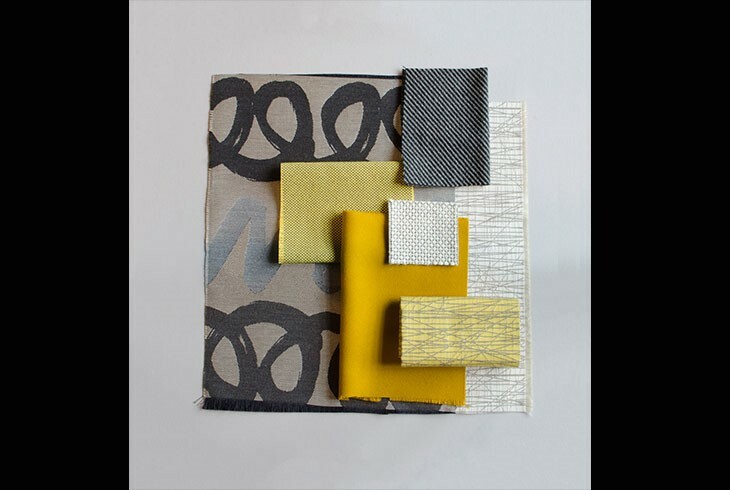 The HBF Textiles showroom just around the corner from Haworth, won Best of Show Silver Level for the HBF Textiles: Raw Materials Collection, in the category of Textiles: Upholstery. Each year a team from ISCG spends three days educating ourselves so we can be the best resource for our clients. Neocon can be overwhelming at times with so much information, but it is always worth the trip! We love our industry and look forward to designing with these products in mind for our amazing clients very soon! If you have been thinking about a refresh, renovation, moving or building a new space, please reach out to one of us. We are here to be a resource and partner for you and your team. #TeamUSA - American Made Manufacturers We Love!